Neverwinter: Tomb of Annihilation is now available on PC, and will be released later on PlayStation 4 and Xbox One. After having thwarted the plans of the Star Hegemony in the very heart of Neverwinter, the adventurers will have to resume the road to the confines of Faerun where a mysterious mortal curse prevents the dead from being resurrected. It is with an expedition to the distant jungles of Chult that the last extension of the free-to-play MMORPG of Dungeons and Dragons begins, including a new zone of adventure in the jungle, heroic encounters with voodoo wizards and the dead A new campaign. Chult Jungle Adventure Zone : Explore the Soshenstar Basin, find clues and track down the source of the mysterious deadly curse. 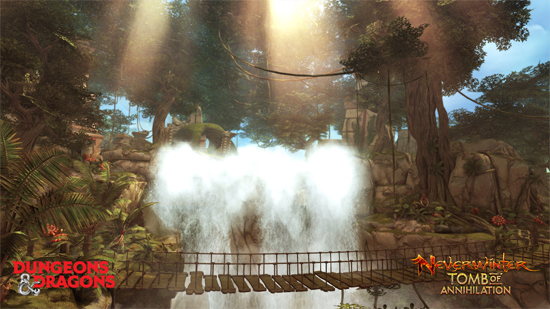 Expect unforgettable encounters with the cruel yuan-ti and the dinosaurs rug in the jungle. City of Port Nyanzaru : The port is not only a safe enclave where Chult beasts do not risk attacking, but will also serve as a base for exploration away from your home. 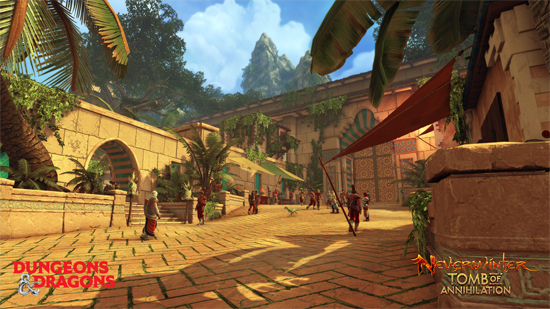 Many merchants, services and quest givers will be available in this new city. Dungeon of the Tomb of the Nine Gods : a high-level experience available to veteran adventurers seeking chills and booty. 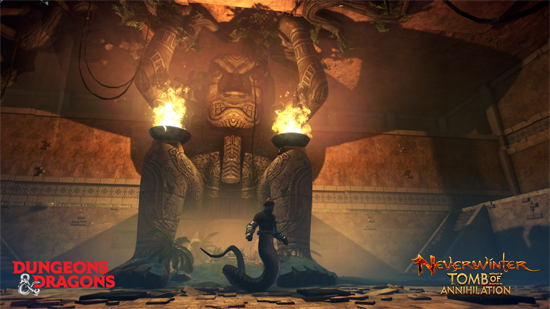 This dungeon contains powerful bosses, but also ancient puzzles to offer a challenge to no other. Monster hunting with Volo : the famous explorer and expert in monsters accompanies you to Chult, leading you on the trail of the rarest creatures in the region. 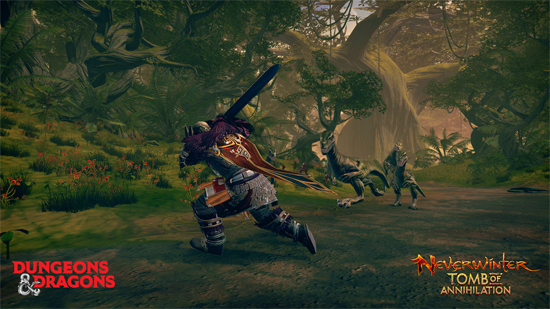 It will also be doubled in French by the same actor as on Neverwinter Nights 2. New campaign : once the source of the curse is identified, you will be able to access a campaign that will take you up the Soshenstar to the heart of Chult. 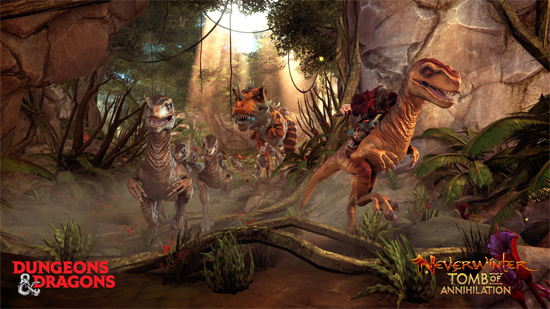 Miscellaneous Improvements : A new bag slot, private PvP queues, dinosaurs to ride, unique heroic encounters and repeatable adventures will come into play. 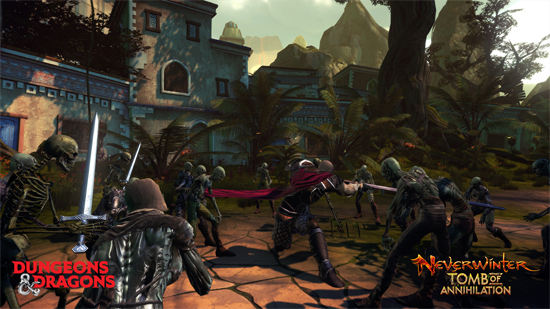 Neverwinter is a free-to-play MMORPG with dynamic combat and epic dungeons. 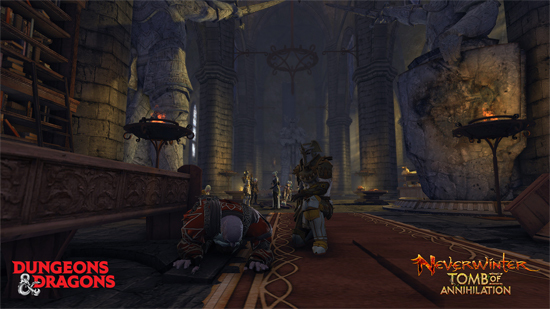 Players can explore the vast city of Neverwinter and its surroundings, discovering in the course of their adventures the living history of this mythical city of the Forgotten Realms and protecting it from its many enemies. Neverwinter is currently available on PC and Xbox One digital distribution free of charge for Gold * subscribers and PlayStation 4 (PlayStation Plus not required). * On Xbox, Xbox Live Gold subscription (sold separately) is required.